Europe is struggling again: Its economy is slowing and hundreds of thousands of refugees are pouring over its borders. Feeble global growth and the migration crisis will dominate talks this weekend between leaders of the world's top 20 developed and emerging economies. But the chances of the G20 summit in Turkey resulting in anything other than a well-intentioned statement look slim, given the big powers have different priorities. Europe wants migration near the top of the agenda. It is calling for the world to share the burden of accepting refugees, many of whom are fleeing war in Syria. "The G20 must rise to the challenge and lead a coordinated and innovative response to the crisis that recognizes its global nature and economic consequences, and promotes greater international solidarity in protecting refugees," the European Union said in a statement. Europe's economy may actually benefit from the influx of migrants in the medium term, thanks to increased government spending on services to support them, and the boost they'll give to the region's labor force. The Organization for Economic Co-operation and Development estimates that migration could lift Germany's working age population by 1% over the next two years, and add up to 0.2% to European GDP over the same period. The EU has committed 9.5 billion euros (about $10 billion) to help member states absorb the refugees and has offered 2.9 billion euros ($3 billion) to Turkey to stem the flow coming out of Turkey and into Europe. It wants G20 countries to commit to making more funds available to aid agencies dealing with the crisis. Canada, for one, has already committed to increasing aid to the United Nations refugee agency, and has vowed to take in 25,000 Syrians by the end of the year. But Europe may find it tough to convince the United States, Russia and China that it's a global issue and therefore appropriate for the G20 to tackle. Migration was not even on the G20 agenda a few months ago. And in an editorial for the Financial Times on Thursday, President Obama made no mention of the refugee crisis. Obama focused instead on slow global growth, urging others to do more to boost the economy. "America cannot be the sole engine of global growth — other countries have to step up. If the world relies excessively on the American consumer, it will jeopardize the sustainability of the global recovery, " he wrote. He called out China to do more to boost consumer spending by its growing middle class, and for countries to invest more in infrastructure spending. 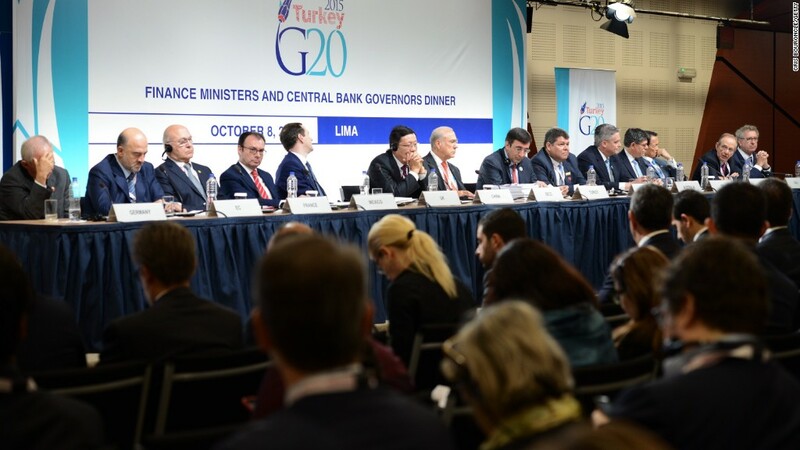 The G20 pledged last year to add $2 trillion to the world economy by 2018, a task made much harder by the slowdown in China and emerging economies, and weak levels of global trade. This weekend, the G20 leaders are expected to sign off on measures to crack down on corporate tax avoidance by multinationals.